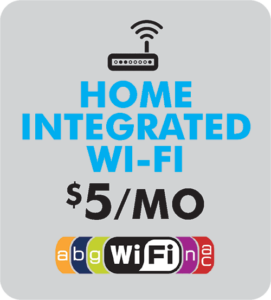 Home Integrated WiFi $5/mo. Our Home Integrated WiFi provides you with fast access to the Internet on all of your WiFi capable devices such as smart phones, tablets, gaming systems, and laptops. As the leading Internet provider in the region with the largest and fastest all-fiber optic network, our cooperative is providing your home or business Internet service at very high speed. That speed, however, can be dramatically impacted by a wireless router used to provide WiFi to all your devices. Older routers may not be able to handle the higher speed Internet you are receiving. Call to schedule one of our technicians to enhance your wireless network with Home Integrated WiFi today! Calix NetValet is an intuitive, easy-to-use app that lets you set up guest WiFi using simple steps and set parental controls. Enables you to set up guest WiFi so that your guests can enjoy their own network to access the internet in your home. Enables you to create policies to time block access to the internet.